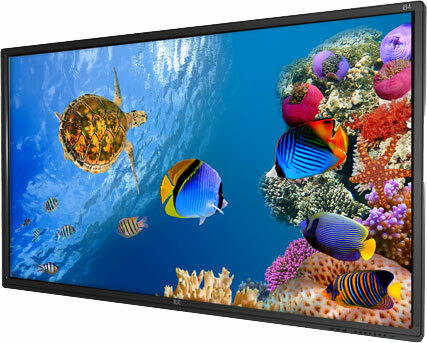 The i75 V Series provides an immersive interactive experience. Manufactured to the highest standards and with 4K UHD resolution, integrated sound and precise 32 point touch it also includes our fantastic software collection. It’s the perfect choice: feature rich and value for money Use the familiar touch interface just like you would a giant tablet. Users used to traditional whiteboard projector systems will notice you no longer need to waste time calibrating, just walk up to the screen and start teaching. The sleek slim 26mm bezel gives your environment a modern look. With extensive connectivity ports including RS232, a display port, HDMI and VGA, use the front control keys or the onscreen interface to move quickly and easily between connected devices.